The AdSense in Your City optimization team was back on the road again and recently hosted over 40 publishers in Walnut Creek, CA. Publishers in attendance learned about top optimization tips, our DoubleClick for Publishers Small Business product and the Google +1 button. Each publisher also received a 1:1 optimization session with one of our specialists. If you’d like to attend an event, we’re heading to Kansas City, MO next week and there are still a few spots open. We’ll also be going to Chicago, IL and Las Vegas, NV in the coming weeks. If you’re interested in learning more about AdSense optimization and meeting our team, please fill out our interest form. We asked publishers to share what AdSense has given them. Thanks to all of our publishers who came to Walnut Creek. 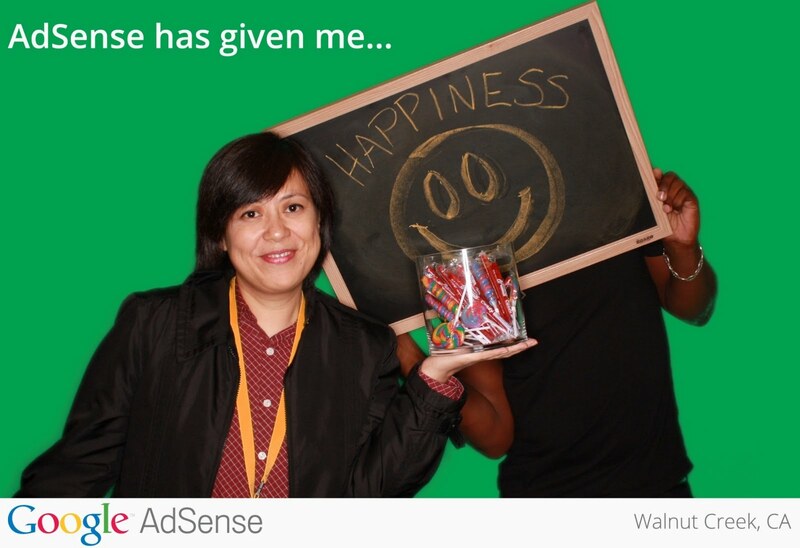 We had a great time working with you and hearing your AdSense stories. 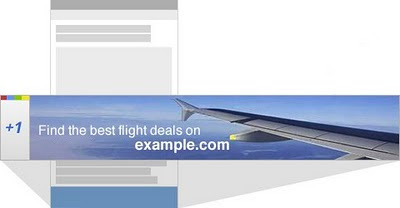 and govisitcostarica.com as the first two AdSense publishers in the Gold Star Partnership Showcase. To recap, the showcase is an opportunity for us to publicly recognize some of our AdSense partners. Called by The New York Times ‘a Consumer Reports for the cheap’, Cheapism.com is a budget-products review site, serving consumers who can only afford/wish to buy inexpensive products, but still want the best value for their money. Cheapism is the only review site that focuses exclusively on low-price products, a part of the market that is rarely reviewed by the experts. What we do at Cheapism is research the low price products and services in various categories and then create a thorough buying guide on how to buy budget products in that category. Our editorial process involves defining the low-price range for each category, identifying must have features, summarizing key performance attributes, and then analyzing relevant reviews and recommending the best budget buys and what to avoid. We follow strict journalistic editorial guidelines when creating our content and take great pride in our articles. What makes cheapism.com a great AdSense publisher? We implement AdSense in a non intrusive way yet generate high eCPMs. 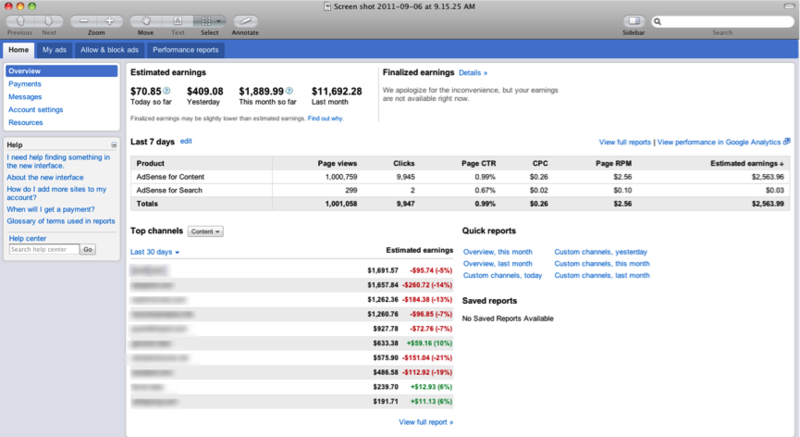 We also manage to generate a significant amount of our AdSense revenue from a link unit. Because it targets exactly what our visitors are looking for. Because it saves us from having to deal with advertisers. Because it generates most of our revenue. Finally, thank you again to everyone who submitted their sites for consideration! Over the past month, we highlighted homebuyinginstitute.com and govisitcostarica.com as the first two AdSense publishers in the Gold Star Partnership Showcase. To recap, the showcase is an opportunity for us to publicly recognize some of our AdSense partners. Top Contributors (TCs) from around the world came to our Mountain View headquarters for a two-day summit, along with almost 300 other product TCs. If you participate in our Help Forum, you've probably noticed the very visible presence of our TCs, who lead product discussions and help answer questions. During the summit, we spent a bit of time discussing opportunities for further collaboration, the development of the TC program and new ideas for Google Forum Communities. There are 82 AdSense TCs worldwide. TCs posted over 100K times in the last 12 months. 8 of the TCs have posted more than 10K times in the Forum since they joined. We’d like to give a special mention to PeggyK of our English Help Forum, as she’s contributed an amazing 47,972 posts to date! Thanks to all of the TCs who were able to join us -- we truly enjoyed meeting everyone face-to-face. We appreciate all of the contributions our TCs make to the AdSense community, and look forward to continued collaboration with them going forward. A couple weeks ago, 32 AdSense Help Forum Top Contributors (TCs) from around the world came to our Mountain View headquarters for a two-day summit, along with almost 300 other product TCs. If you participate in our Help Forum, you've probably noticed the very visible presence of our TCs, who lead product discussions and help answer questions. During the summit, we spent a bit of time discussing opportunities for further collaboration, the development of the TC program and new ideas for Google Forum Communities. , reporting by country and platform, and search functionality in the Ad review center. We’ve also heard your feedback on features from the older interface that you wanted to see in the newer version. In response, we’ve recently rolled out top-requested features like the ability to create scheduled reports and view channels on the Home tab. While we’ve been investing in new features within the new interface, we’ve also been discussing our plans to move away from the older version. With that in mind, we’ll be retiring the old interface in mid-November. We’re continuing to focus on building new functionality into the new interface, and are excited about the additional improvements we plan to deliver. If you haven’t already, we recommend switching to the new interface as soon as possible to familiarize yourself with the updated layout and new features. To do so, sign in and click the 'Try the new AdSense interface' link in the upper corner of your account. We understand that this adjustment may take some time, so you'll still be able to toggle back and forth between the two interfaces during the coming weeks. To address a common question we’ve heard, switching to the new interface won’t affect your ad targeting or earnings in any way. In the meantime, we encourage you to watch our video tutorials, which will guide you through completing common tasks in the new interface. You can also find detailed information in our Help Center for the new interface. Thanks for all the feedback you’ve provided about the new interface -- please do keep the suggestions coming. We appreciate your patience during this transition, and look forward to continuing to improve the new AdSense interface to meet your needs. Over the past months, we’ve been working to improve the new AdSense interface and develop features that provide you with additional insights, control, and efficiency. Beyond the visual redesign, some of the new features only available in the new interface include multi-dimension reporting, reporting by country and platform, and search functionality in the Ad review center. several exciting new additions to Google+, including open signups. We’d like to announce one more addition for our AdSense publishers, +1 on the Google Display Network. Susan’s friends and contacts will also be more likely to see the ad. While the dynamics of our ad auction aren’t changing, the ad will now be included in the auction for the pages Susan’s friends visit, as we know recommendations from friends can be a strong signal of an ad’s relevance. +1’s will be one additional signal that help determine an ad’s relevance. All eligible ads will continue to compete in the ad auction, and we’ll continue to show the ones that will generate the most revenue for you. +1 button clicks are not counted as clicks on ads. Although you won’t receive any revenue for +1 button clicks, +1’s will help AdSense to deliver more useful ads to your users, which we think will result in higher returns over time. The +1 button will begin to appear on AdSense for content and AdSense for mobile content display ad formats--image, animated gif, and Flash ads. If you’d prefer not to allow the use of +1 features and social annotations on display ads on your pages, you can opt out starting today by signing in to your account at google.com/adsense. Display ads become much more powerful when people can see which of their connections have chosen to endorse them, leading to a better advertising experience and higher returns for you. If you’d like to learn more about the +1 button on display ads, please visit the AdSense Help Center. Earlier today we announced several exciting new additions to Google+, including open signups. We’d like to announce one more addition for our AdSense publishers, +1 on the Google Display Network. Keep in mind that with the recent launch of the Sites report, you can now see your domain and subdomain earnings without the need to set up URL channels. For tracking page level data or any other grouping of pages, however, please feel free to continue creating URL channels. 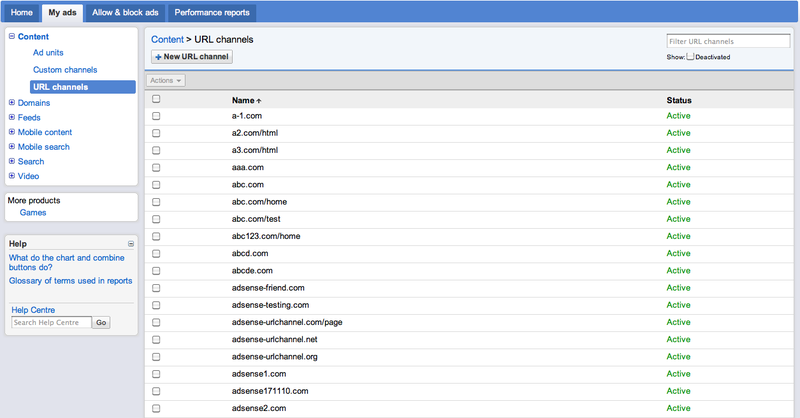 As a reminder, URL channels allow you to track earnings for your domains, subdomains or pages. With this change it’s possible to create URL channels for AdSense for content, games, video, mobile AdSense for content, and AdSense for hosted content in the new interface. You can also remove or deactivate channels that you’re no longer using. 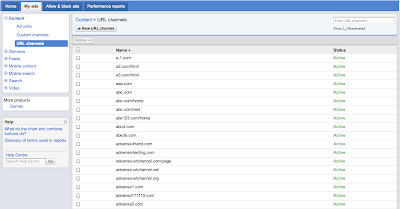 Learn more about URL channels. Do you have a question about AdSense policies? Have you ever received a policy notification from AdSense? Do you sometimes worry about your account security? We’d like to invite you to an upcoming free AdSense policy webinar that’s designed to help publishers stay compliant with Google AdSense program policies. We’ll discuss selected policies, explain how Google enforces them and share tips on how to stay compliant, as well as what to do if you receive a policy notification. We'll also have a Q&A session during this webinar. You can submit your questions in advance to the AdSense team and vote on questions submitted by other webinar attendees here. The most popular questions will be answered live during our webinar! To join and participate in the webinar you’ll need to install Webex Meeting Manager. With the arrival of fall, the holiday shopping season begins. Give your readers an early start by posting Google Affiliate Network Exclusive Opportunities on your site, and also earn additional revenue. Over 40 great shopping opportunities will be available exclusively to Google Affiliate Network publishers. In addition, special opportunities will be live for one weekend only, from Friday, September 23 through September 26. This limited time offer enables you to add a variety of great consumer opportunities to your site and earn a performance fee from orders that originated from your links. Get $15 off Your Next $125 Purchase! How do I promote these opportunities on my site? To promote any of these exclusive opportunities, you'll first need to be an approved publisher in Google Affiliate Network. Google Affiliate Network is available to all AdSense publishers, and while most advertisers in the program are based in the US and Canada, many have international shipping capabilities. 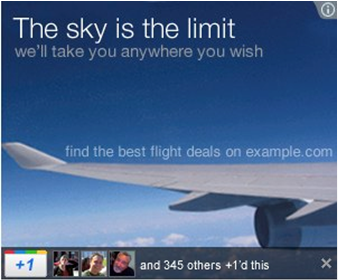 For more details, view all Google Affiliate Network opportunities available. Once approved, review the opportunities available (link to GAN Blog Post to be added once live) and click the "Apply Now" link for everyone that you wish to promote. Tracking links will be available in your Google Affiliate Network account by viewing the Home tab. You can also search for "September Exclusive Opportunities" links in the Links section on September 23. Need help applying or want more information? Review the Getting Started guide today. When can I post these opportunities on my site? All opportunities will be available on September 23, and all will expire at midnight September 26. Please note that it won't be possible to post any of these exclusives until September 23. When you log in to the new AdSense interface, you’ll see your top channels by estimated earnings along with the percentage change for the selected time period. So if you’ve chosen to view the last 7 days, you’ll see your top performing channels for that time range along with the percentage change they experienced compared to the prior 7 day period. Thanks for all of the feedback you provided about bringing this report to the new interface -- you can check out this update by logging in to the new AdSense interface today. As a reminder, we’re gradually moving away from the older version and focusing on building improvements like these in the new interface. We encourage you to continue familiarizing yourself with the new interface, and as always, please feel free to leave us a comment with your thoughts and suggestions. You’ve been asking, and today we’re excited to announce that you can now view your top 10 performing custom and URL channels directly on the homepage of the new AdSense interface. We understand that many of you log in frequently throughout the day to check in on your stats, and this latest change will allow you to get a quick snapshot directly from the new interface. The optimization team will be at each event offering best practices and customized optimization tips. Other local publishers will also be in attendance, providing a great networking opportunity. We’re working on finalizing the venues and times, but we wanted to share the cities as soon as possible. As always, our team would love to meet with all of you, but space is limited. If you’d like to attend one of the above events, please fill out our interest form. We’ll do our best to accommodate as many requests as possible. Invitations and additional details will be sent to accepted publishers two weeks prior to each event. Make sure you are opted in to receive special offer email messages from the AdSense team to ensure you can receive email invites to events like these. (GDC Online) expo on October 10th, 11th and 12th in Austin, Texas. As part of the GDC Online, we’ll be hosting Google Developer Day where we'll share ways in which publishers can use AdSense and AdMob to monetize their online games, websites and mobile applications. After our session, we're looking forward to chatting with publishers and developers at the conference, and we'll also be available at the Google booth to discuss and demo our AdSense for Games, AdSense for Content and AdMob products. If you have an online flash game or mobile app and are interested in the potential of earning revenue from ads, we hope you’ll be able to join us on Google Developer Day and visit our booth on the expo floor. For more information on our presence at GDC Online, including session and speaker details, please visit the event site or read our related post on the Google code blog. This year the Google AdSense team will be attending the Games Developer Conference Online (GDC Online) expo on October 10th, 11th and 12th in Austin, Texas. “Depth of advertisers. 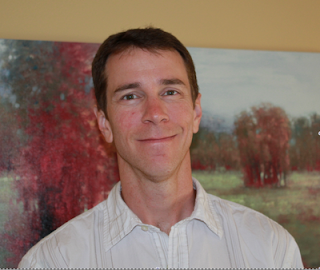 Allows me to do what I do best.” Darren O. “AdSense was the easiest and most effective way to monetize my site.” Andrew D.
What did you learn from the AdSense in Your City event? 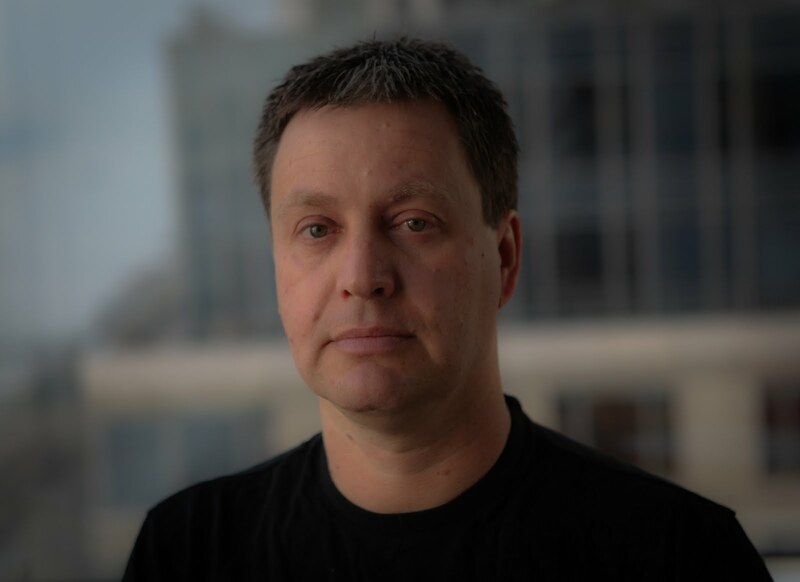 “I’m very interested in DoubleClick for Publishers Small Business. Right now I use a more limited ad server and I can likely increase CPM with better technology.” Darren O. 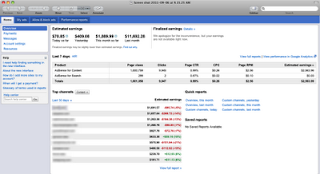 “It always amazes me how you can learn more about optimizing your revenue when attending Google sessions like this. It helped me focus on AdSense issues I have neglected over time. I will definitely implement and test some changes that were suggested. Also, I have met other publishers and learned from them.” Max L.
What tip do you have for other publishers? 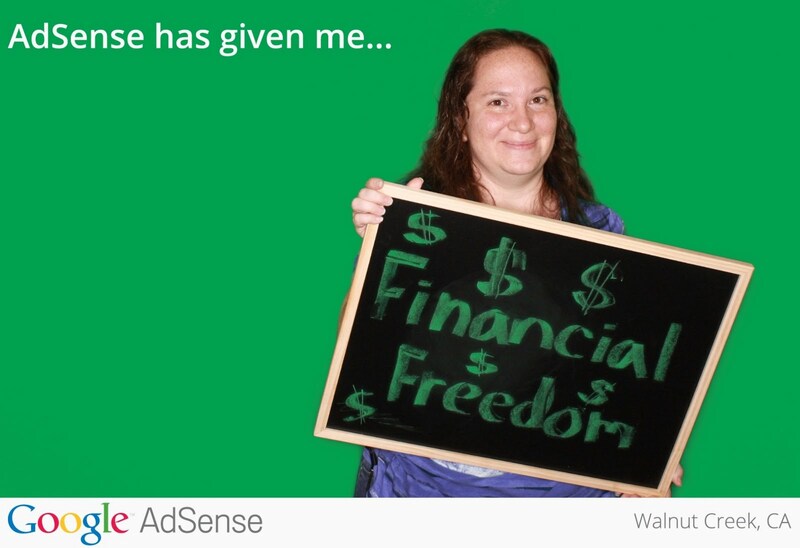 “Jump in and try it [AdSense] - it’s super easy.” Darren O. “Simple changes such as color and ad position have increased my CTR by over 30%.” Andrew D.
Thanks for providing candid feedback and we hope to continue hearing from you. We’ll be visiting other cities through our AdSense in Your City program, so make sure you’re opted in to our mailings so we can inform you about upcoming events! During this summer, a few of us on the North America AdSense team had the pleasure of meeting publishers in person during AdSense in Your City events. First, we stopped by our office in Boulder, Colorado to provide publishers with AdSense updates and tips (and we fell in love with the city as well!). We then headed to our offices in Toronto and New York to host a series of similar events for local publishers. It was a busy week, but we thoroughly enjoyed the valuable face-to-face time with you. 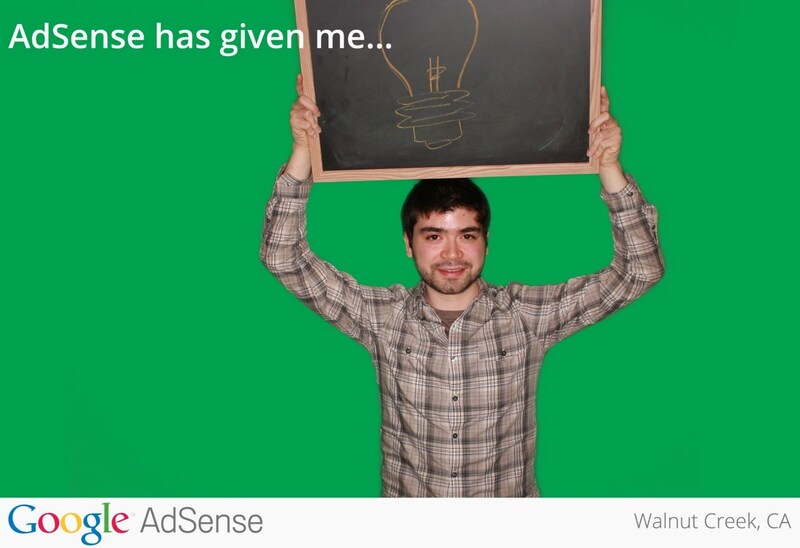 What is your favorite thing about AdSense? as an opportunity to publicly recognize some of our amazing AdSense partners. What makes homebuyinginstitute.com a great AdSense partner? “We publish unbiased information and advice for home buyers. We are not trying to sell them anything, like most housing-related websites. We are dedicated to creating a smarter class of home buyers and homeowners, to reduce the chances of another housing crisis. Finally, we want to thank everyone who took the time to submit their site for consideration! It's always great to see the vast array of sites in the AdSense network, and we hope you'll continue to develop and optimize your sites. A few weeks ago, we announced the Gold Star Partnership Showcase as an opportunity to publicly recognize some of our amazing AdSense partners.